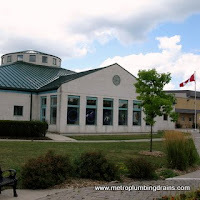 If you are on the market for a qualified plumber anywhere in Greater Toronto Area including Woodbridge Ontario, our professional plumbers at Metro Plumbing and Drains will be happy to help you at your earliest convenience. 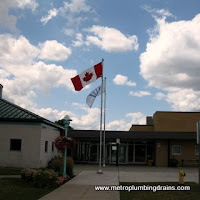 Our team of plumbers is fully experienced with great attitudes and perfect manners. 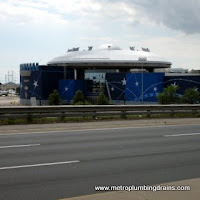 Every plumber on our team is fully licensed to perform any plumbing related repairs according to the safety regulations, anywhere in Woodbridge Area and GTA. 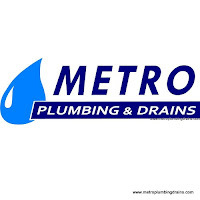 As usual our company always reminds our customers to keep their plumbing systems safe by properly maintaining them, especially during those cold months of winter. A very common plumbing problem during the winter is pipe freezing. In case if that happens, make sure to call a licensed plumber as soon as possible to professionally thaw them. To prevent your pipes from freezing our recommendations is to insulate them with foam wraps (they can be purchased at any hardware store) before the first freeze. Another unpleasant surprise that you might want to avoid during the winter is the breakage of your water heater. 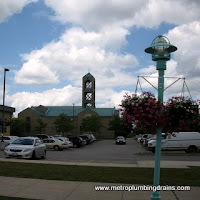 Once again, Metro Plumbing and Drains recommends to always check up on your water heaters to ensure its functionality. 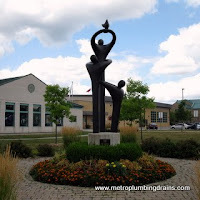 Our team of professional plumbers provides services throughout the entire area of Woodbridge Ontario. Our company has very flexible scheduling system, ensuring that we are always available whenever you are. As well as we provide emergency services any time of the day or night, by having a 24/7 representative to assist you through your plumbing problem. 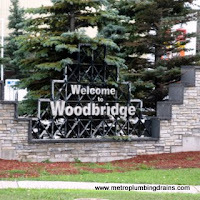 Call us 24/7 for any plumbing related problem in Woodbridge area.